I regret to inform you that I must now be the bringer of bad news. I did mention this earlier, that this would be the last Chaos Project episode for a while. Due to some somewhat unforeseen circumstances, I have lost the ability to regularly type for the summer. I have just recently regained regular access to a computer, about three months after the time that this episode was actually written. However, any writing will be slowed for about another month, and even then I hope to have a few more episodes than the current 2 in storage before I resume posting, so Chaos Project will be on a short break until then. I can promise you, however, that you will not lose your weekly Sonic reading, as I have an entirely different story that I didn’t originally plan on posting already pre-written and ready to be posted in place of the Chaos Project. More on that next week. Now, on to happier matters. Just as I have now begun to feel like the Chaos Project is officially out of its “shiny and new” phase, I can also say that this is one of my favorite episodes yet. I had only the most basic of plans when I first started, just a cut-and-dry idea of the three events that would happen. But when I began writing for the scene with Zero and Amy, the ideas just kept flowing. I already had this being the basis for her outfit change plan, but what came to me as I wrote was the origin of her hammer, the transformation to Zero’s character with one of her friendship speeches, the origin of Eggman’s outfit and name change, the origin of Beta, and of course, Robo Sonic. I hope with all of my soul that someone, somewhere, understood what I was doing with Robo Sonic. If you’re still confused on that, please take a look at THIS picture. Still don’t get it? Robo Sonic is intended to be the unnamed Sonic robot seen in a capsule outside of the Final Egg stage in Sonic Adventure, right across the room from Metal Sonic (comic readers might recognize Robo Sonic better under the name “Silver Sonic II,” but the comics are non-canon). Funny thing is, Robo Sonic was not only a last-minute decision, but a retconned decision. I wrote out the original episode not with Robo Sonic, but with plain old regular Metal Sonic. Then when I got to the scene with Eggman, I wrote that in the pod across from Metal Sonic was Mecha Sonic. Then I thought, “Wait, wasn’t it Silver Sonic?” So I looked it up. And it was neither. I took advantage of a golden time-travel opportunity when I saw one, and I completely re-wrote the scene to include the mysterious Sonic robot which was seen but never fought. The hard part was coming up with a name that matched the pattern set by Metal, Mecha, and Silver Sonic. A different thought came to my mind besides Robo Sonic, but I decided to save that one for the future. 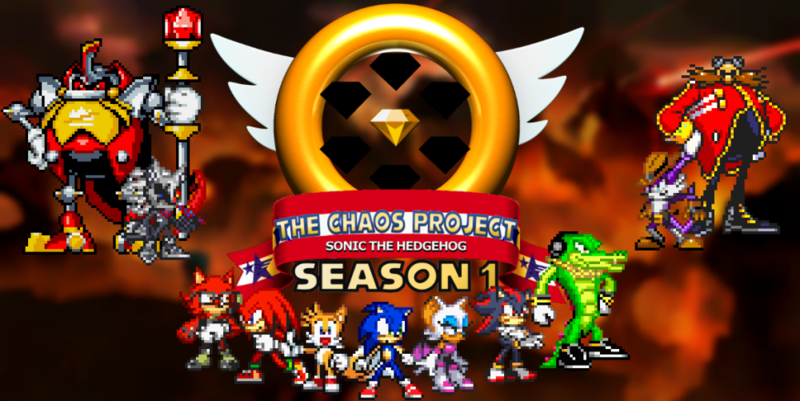 And I will end this review by saying that the Chaos Project break will actually be (unintentionally) reflected within the story, as the next episode will begin with a brief time-skip, to the final few “levels” of the “game.” Theoretically, this would be the point in the game where a series of levels are played in a row with little or no dialogue occurring between them, making for a rather boring story. I’ll save you (and myself) the trouble. -Until next time (pay attention now, this is important) always Live and Learn, every day! This entry was posted in Episode Review and tagged Amy Rose, Archie/IDW Comics, Cast by the Light, Crush 40, E-Series Robots, Ivo "Eggman" Robotnik, Metal Sonic Group, Sonic Adventure, Sonic Adventure 2, Speed of Time Arc, Zero the Hedgehog by Chaos Project. Bookmark the permalink.